The Rector of the Yelokhovo Epiphany Cathedral in Moscow, Protopresbyter Matfey Stadnyuk, said that over 220 priests came out of his native village Zalistsi (Zalestsy) in the Ternopol Region, which has about a thousand houses. In his interview to the Argumenty i Fakty weekly, Fr. Matfey told that two of his late brothers were priests too. "Our village was special, people were very believing, enchurched. Every ordinary woman knew more about liturgical things than some modern priests," the Yelokhovo Rector said. He believes the reason for this was the "great influence" of the Pochaev Lavra located ten kilometers from the village. "The Lavra has always been a bastion of true Orthodox faith in our land, and the bastion of canonical unity of the Orthodox Church in Ukraine with the Moscow Patriarchate. This unity has been constantly attacked from various sides. However, no one has ever managed to break it," Fr. Matfey is convinced. Each family has brought up a priest at the Ukrainian village of Zalistsi, which has 500 properties. "Our people are pious, the crime situation is quiet. Not one of our residents will dare violate God's commandments," the secretary of the local council was quoted as saying on Wednesday by the Argumenty i Fakty paper. 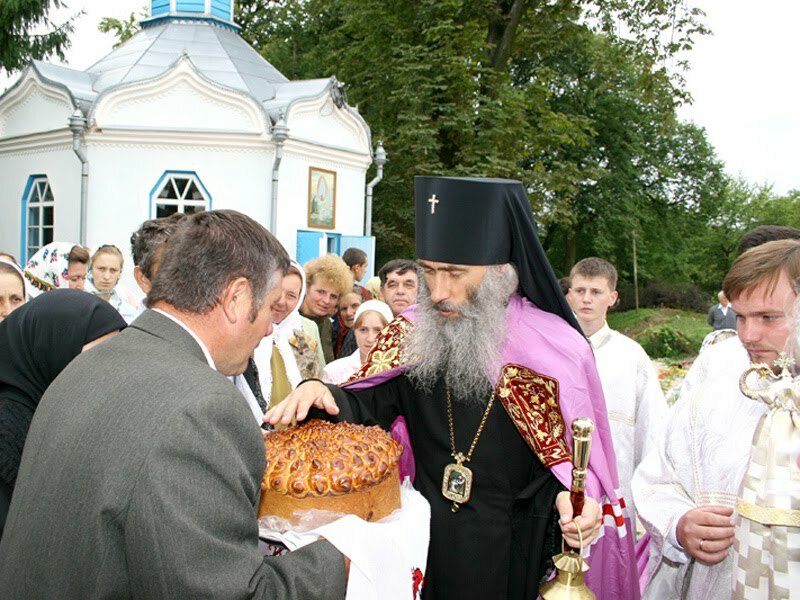 220 priests who are natives of Zalistsi work in the Orthodox churches of Ukraine, Russia and Germany. Villagers believe the reason they brought up so many priests is that in Soviet times they had a powerful spiritual guide - the rector of the local church Hieromonk Savva. 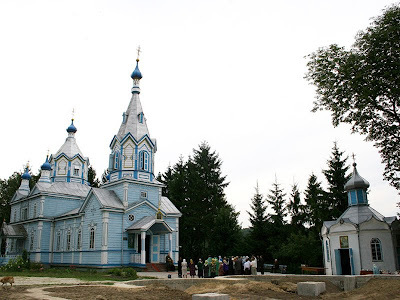 All the priests annually come to the Divine service of their village on August 2, feastday of the Prophet Elijah, when the local church celebrates its main feast. See also this article in Ukrainian.